Industrial production in India probably expanded for a third consecutive month in June driven mainly by solid growth in infrastructure output, a Reuters poll showed. Factory output in June likely rose 5.4 per cent from a year earlier, faster than the 4.7 per cent growth in May, according to a poll of 27 economists. "India's core sector growth touched 7.3 per cent year on year in June supported by a significant pick-up in electricity, cement and coal production", said Rupa Rege Nitsure, chief economist at Bank of Baroda. 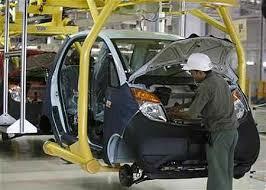 The infrastructure sector accounts for almost 40 per cent of India's industrial output. If confirmed, this would be the strongest expansion in industrial production in 19 months, welcome news for the newly-elected government led by Prime Minister Narendra Modi. Economists in the poll also predicted that July inflation would be almost unchanged from a month earlier even as weak monsoon rains and political turmoil in Iraq were expected to push food and fuel prices up significantly. Wholesale price inflation likely eased to 5.10 per cent from 5.43 per cent the month before, while consumer price inflation, the key indicator adopted by the Reserve Bank of India to measure price rises since April, probably gathered pace to 7.40 per cent from 7.31 per cent in June. The mixed inflation data will plausibly see the RBI maintaining status quo on rates for longer. Governor Raghuram Rajan last week kept policy rates unchanged saying "upside risks to the target of ensuring CPI inflation at or below 8 per cent by January 2015 remain" and underlined his resolve to lower inflation to 6 per cent by 2016. "Food inflation will go up quite materially due to scant rains," said Ashutosh Datar, economist at IIFL Institutional Equities. However, he pointed to elevated inflation data from last year to argue that statistically, despite a rise in food prices in 2014, wholesale price inflation readings will probably dip a little. Similarly, the pick-up in industrial production could be on account of a weak monsoon that facilitated higher factory activity, Datar added, cautioning that the better numbers did not reflect an underlying pick-up in activity. "The uptick in production is because of seasonality. In June there was very little rainfall which allowed for higher coal production, higher construction activity...and led to higher electricity production. "We should not extrapolate a 5-6 per cent IIP growth for the next few months." Growth, inflation numbers encouraging but will they last?